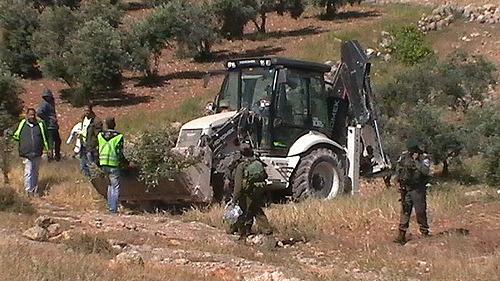 Israeli soldiers and border police today used a backhoe to uproot 200 young olive trees in the Palestinian village of Susya in the South Hebron Hills. 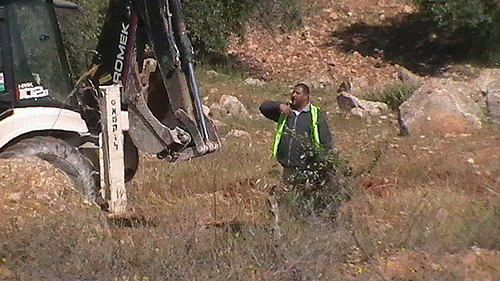 The demolition of the olive grove began at 8:00 am and finished at 10:45 am. 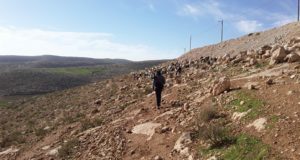 The trees destroyed were planted about one year ago on land belonging to three families of the village, across a valley from the Israeli settlement of Susya. 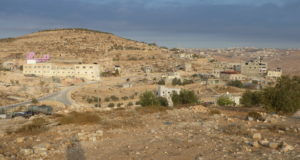 The village of Susya has existed since around 1830, and is present on British maps from 1917. 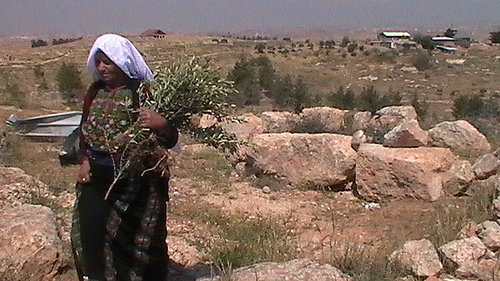 In l983 Israeli settlers built a settlement at Susya, and many of the village’s residents were forced from their homes. These families now live nearby in isolated sites to the north of the settlement. The Israeli Civil Administration has informed residents of Palestinian Susya of their intention to carry out six demolition orders for houses that were issued in the 1990s and in 2001. These demolition orders cover 50 buildings, including homes, animal pens, solar energy panels and water cisterns. These demolition orders have been issued despite the fact that Palestinian ownership of the land in Palestinian Susya is well established legally. 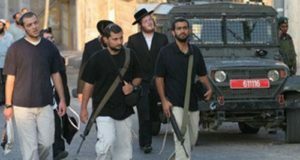 Israeli attorney Plea Albeck stated in a legal opinion in l982 that the land in Palestinian Susya is Palestinian owned. Because the Israeli Civil Administration has not completed a master plan for the region, the residents of Palestinian Susya are unable to obtain building permits. Since 2001 Israel has, through its military and settlers in the West Bank and Gaza, uprooted, burnt and destroyed more than 548,000 olive trees belonging to Palestinian farmers and land owners.